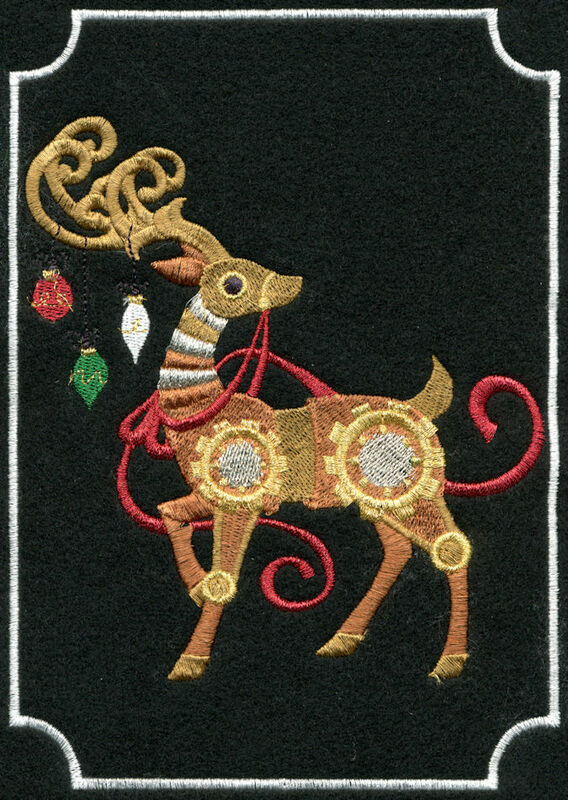 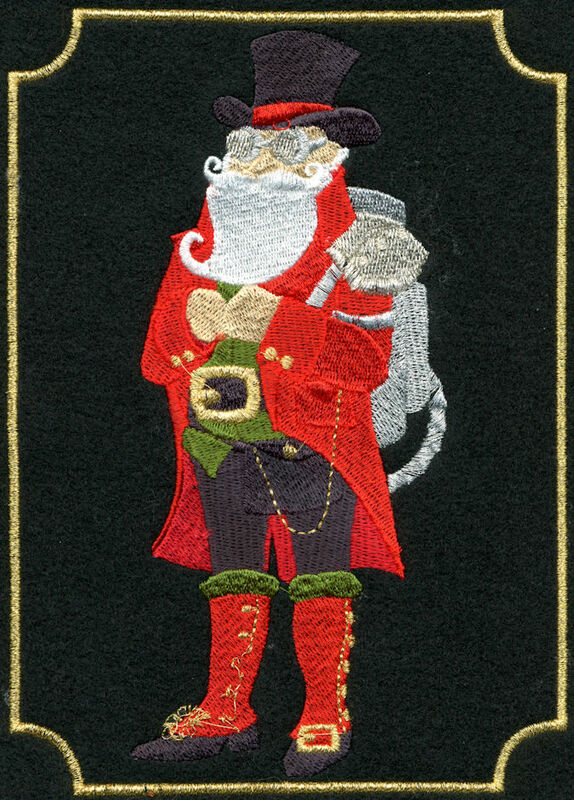 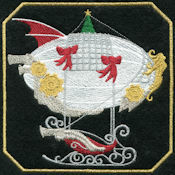 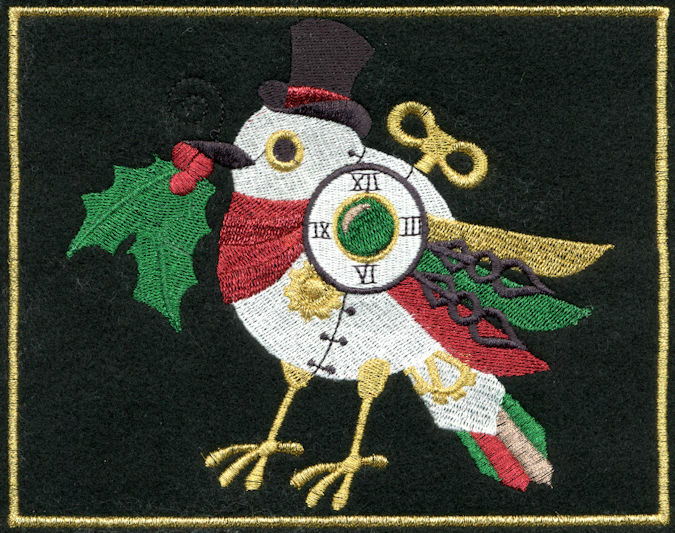 Steampunk inspired fabric ornament designs feature multiple color changes. 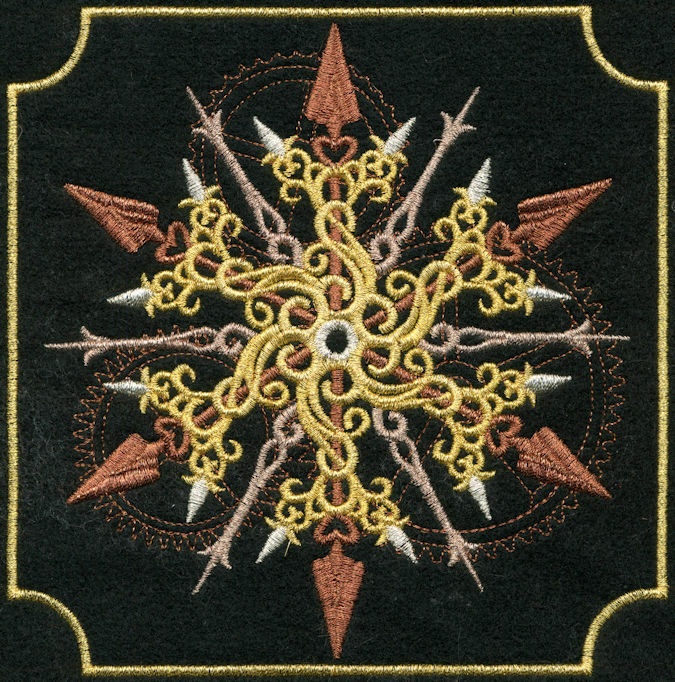 These designs feature up to 31,000 stitches. 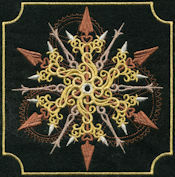 These designs vary in size from 5.25 to 7.5 inches. New for year 2019 is our line of Steampunk inspired large sized ornaments. The ornaments listed below are also available for bundle pricing. 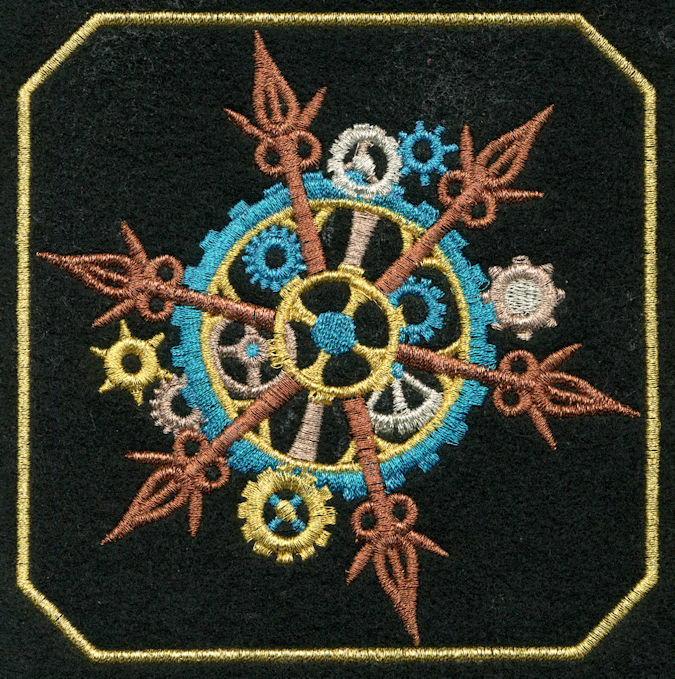 Steampunk is a subgenre of science fiction or science fantasy that incorporates technology and aesthetic designs inspired by 19th-century industrial steam-powered machinery. 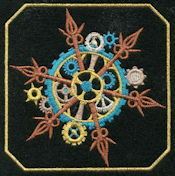 Steampunk works are often set in an alternative history of the 19th century's British Victorian era or American "Wild West", in a future during which steam power has maintained mainstream usage, or in a fantasy world that similarly employs steam power. 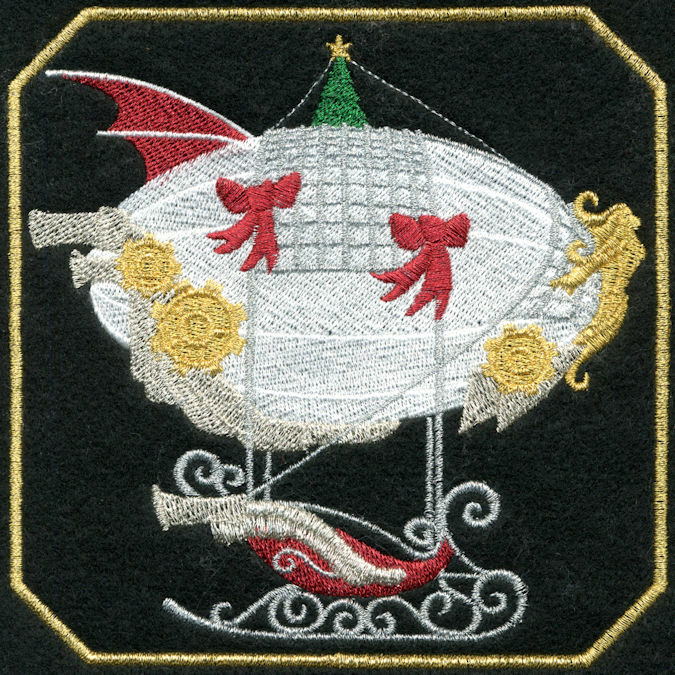 Steampunk features anachronistic technologies or retrofuturistic inventions as people in the 19th century might have envisioned them, and is likewise rooted in the era's perspective on fashion, culture, architectural style, and art.